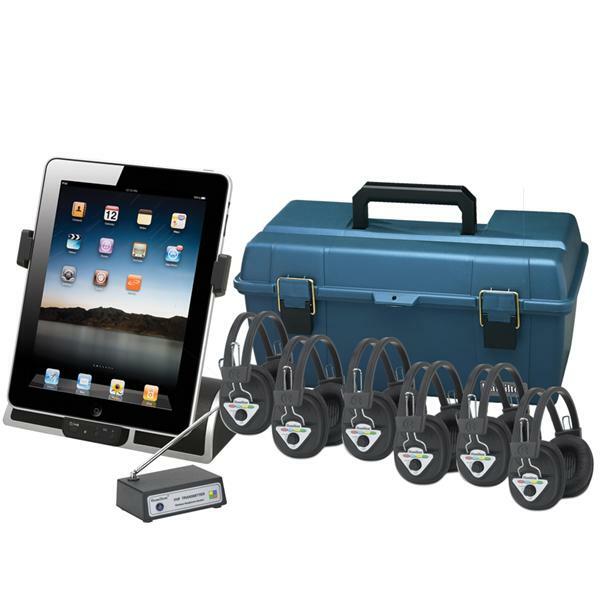 Select the items you would like to add to your bundle. *Your total must be greater than $750. 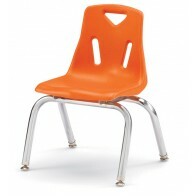 Add comfort and style with Berries Plastic School Chairs. 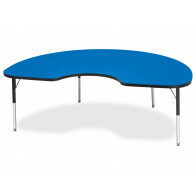 Child-friendly design promotes seating comfort and durability. Chrome plated legs provide an upscale look and complement Classic Color Berries Tables perfectly. Plastic school chairs can be easily stacked. 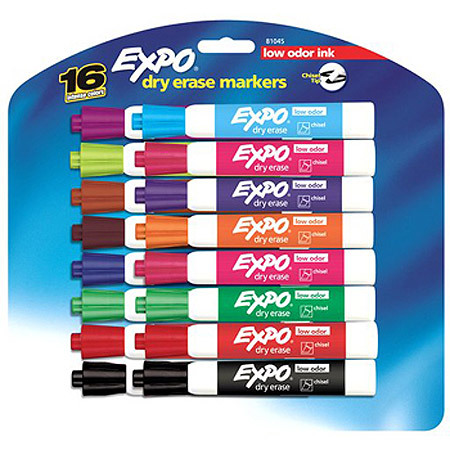 Polypropylene shell is E-Z to clean, prevents blushing and dissipates annoying static electricity. 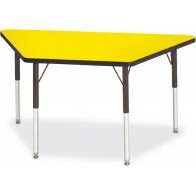 When ordering Berries Plastic School Chairs and tables, allow six to ten inches from the seat to the top of the table. 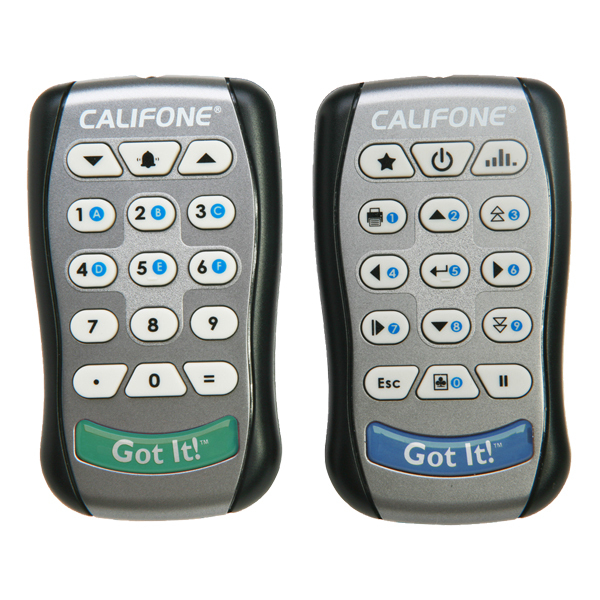 Meets California TB133 and ANSI/BIFMA5.1 Standards. Add comfort and style with Berries Plastic School Chairs. 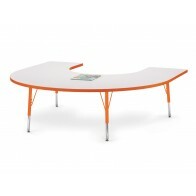 Child-friendly design promotes seating comfort and durability. This chair is also available with chrome legs. Powder-Coated legs give a seamless look. 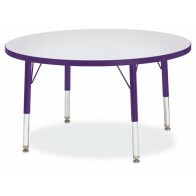 Berries Plastic School Chairs match perfectly with Jonti-Craft Berries activity tables. 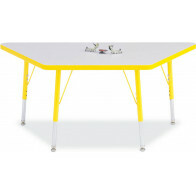 These Rectangle Activity Tables have plenty of room for arts and crafts, putting puzzles together or most any other childhood classroom activity you can imagine. Upper leg powder coated to match selected edgebanded color. 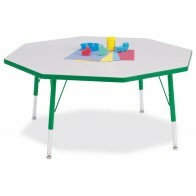 Three activity table heights available – Toddler, Elementary and Adult. Quick mount legs, minimal assembly. Extra-safe dual-screw leg adjustability system. Legs adjust in one-inch increments. 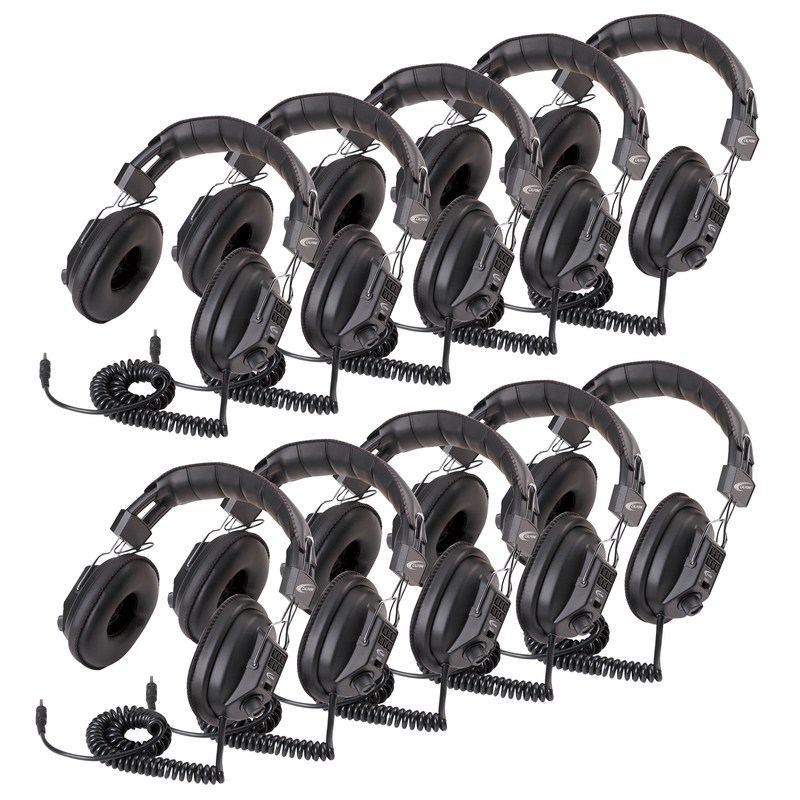 Nylon-based swivel glides prevent rusting. 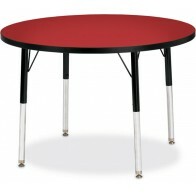 Helpful Hint: Most children---even 3 to 4 year olds---require elementary size tables. Toddler height typically only accommodate children 1-2 years old. Thermo-fused edgebanding means no place for germs to hide and is stronger than t-molding. 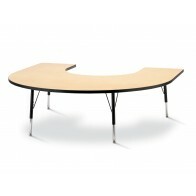 Laminate activity tabletops 1 1/8” thick. Three heights available – Toddler, Elementary and Adult. 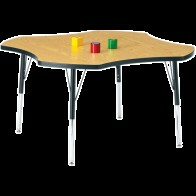 Helpful Hint: Most children---even 3 to 4 year olds---require elementary size tables. 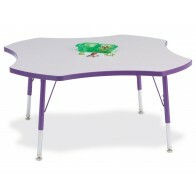 Toddler tables typically fit children just 1 to 2 years old. 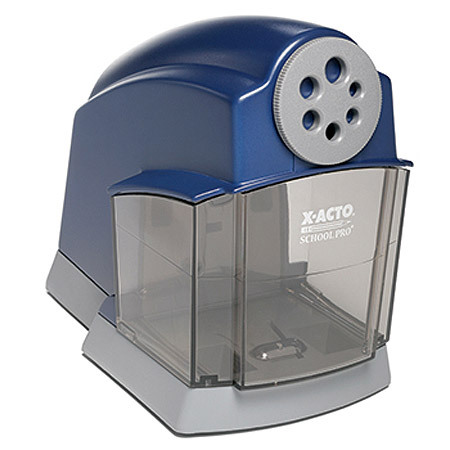 The Round School Activity Table has plenty of room for arts and crafts, putting puzzles together or most any other childhood classroom activity you can imagine. Laminate tabletops 1 1/8” thick. 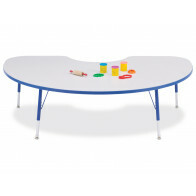 These Berries Round Activity Tables have plenty of room for arts and crafts, putting puzzles together or most any other childhood classroom activity you can imagine. Helpful Hint: Most children---even 3 to 4 year olds---require elementary size tables. 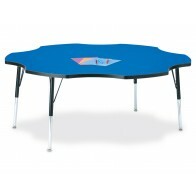 Toddler height activity tables typically fit children just 1 to 2 years old. Thermo-fused edgebanding means no place for germs to hide and is stronger than t-molding. Laminate tabletops 1 1/8” thick. Table Top Surfaces available in several colors. Also available in Berries Prism. Helpful Hint: Most children---even 3 to 4 year olds---require elementary size tables. Toddler tables typically fit children just 1 to 2 years old..
Thermo-fused edgebanding means no place for germs to hide and is stronger than t-molding. Laminate tabletops 1-1/8” thick. Edgebanding available in several colors. Upper leg powder coated to match edgebanded color. Extra-safe dual-screw leg adjustability system prevents loose and misplaced screws. 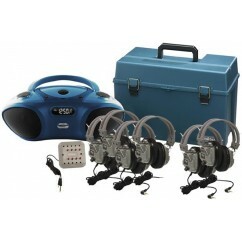 Also available in Berries Classic. The Kidney Shaped Activity Table has plenty of room for arts and crafts, classroom lunches, story time or putting puzzles together. 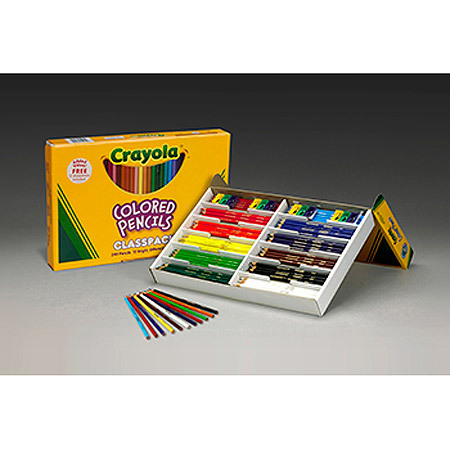 Choose from 6 table top colors. 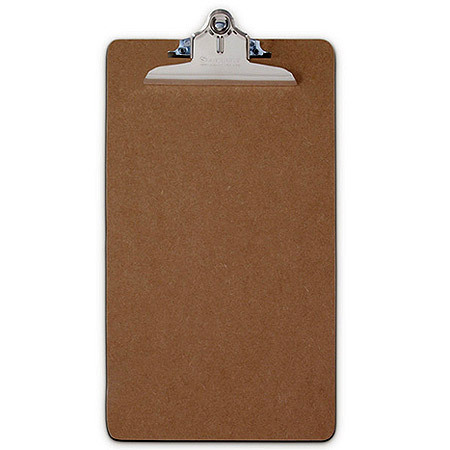 Table Top Surface available in several colors. The Square Berries Classic Activity Table has plenty of room for arts and crafts, putting puzzles together or any most any other childhood activity you can imagine. Table Top Surfaces come in several colors. 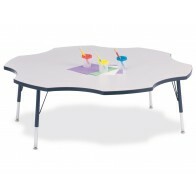 Jonti-Craft Square Activity Tables 48" x 48"
This 48" Square Activity Table has plenty of room for arts and crafts, putting puzzles together or most any other childhood classroom activity you can imagine. 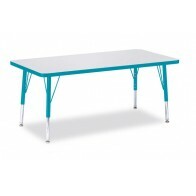 These Trapezoid Activity Tables have plenty of room for arts and crafts, putting puzzles together or most any other childhood classroom activity you can imagine. 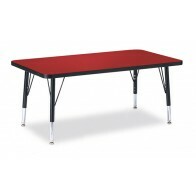 Berries Classic Trapezoid Activity Tables also available with a 30" x 60" Table Surface. 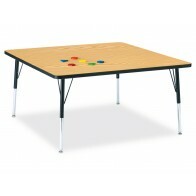 Trapezoid Activity Tables also available in Berries Prism with 24" x 48" or 30" x 60" Table Surfaces. 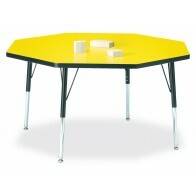 Jonti-Craft Octagon Berries Prism Activity Table 48"
* Must spend $750 or more to bundle.